Metro's General Manager talked about safety and funding before a Congressional committee. News4's Transportation Reporter Adam Tuss reports some lawmakers were on board with his plan. Metro leaders were called to Capitol Hill Wednesday to testify about the transit agency's funding and whether its major safety overhaul is working. During the hearing, Metro General Manager Paul Wiedefeld said he is close to laying out a financial plan that he believes the system won't be able to survive without. The plan will likely require a new dedicated source of funding such as a sales tax or more federal funding. "My job is to clarify what our needs are, what are obstacles are to get to those needs," Wiedefeld said. Wiedefeld said in the coming weeks he will develop a three year short term plan and a 10 year long term plan for funding Metro. "The tin cup approach to financing Metro has to end. It doesn't work anymore," Rep. Gerry Connolly (D-VA) said. Wiedefeld received assurance from Chairman of the House Oversight Committee Mark Meadows that something will be done to financially help Metro. "I'm willing to actually make a commitment. 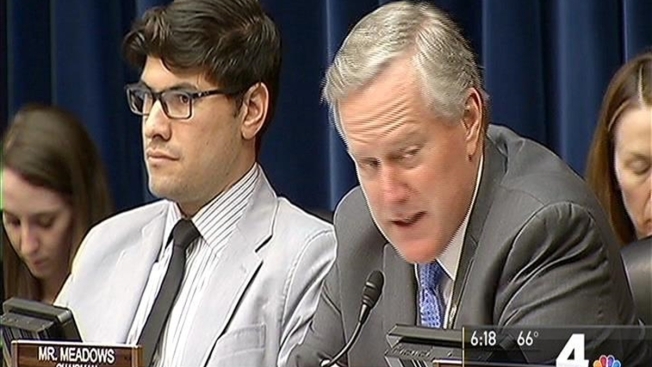 I get more complaints about WMATA here in the District than anything else," Meadows said. However, Meadows criticized Metro's "Back2Good" promotional campaign, which cost the transit agency $400,000. The hearing was tame in comparison to hearings of the past in which Metro's board chair Jack Evans shouted for more funding from Congress. Evans was noticeably absent from the hearing. Sources told News4 Evans was preliminarily approved to attend the hearing and he had already prepared remarks. However, he was dis-invited from the hearing on Tuesday, according to the sources.